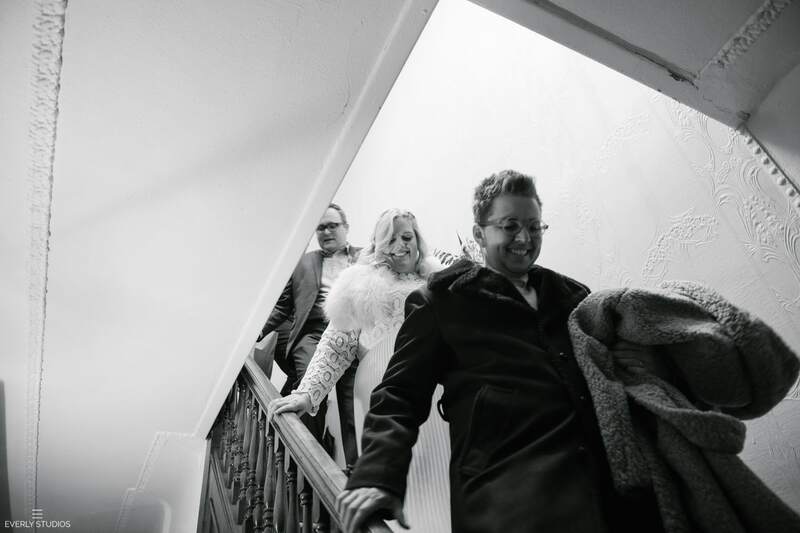 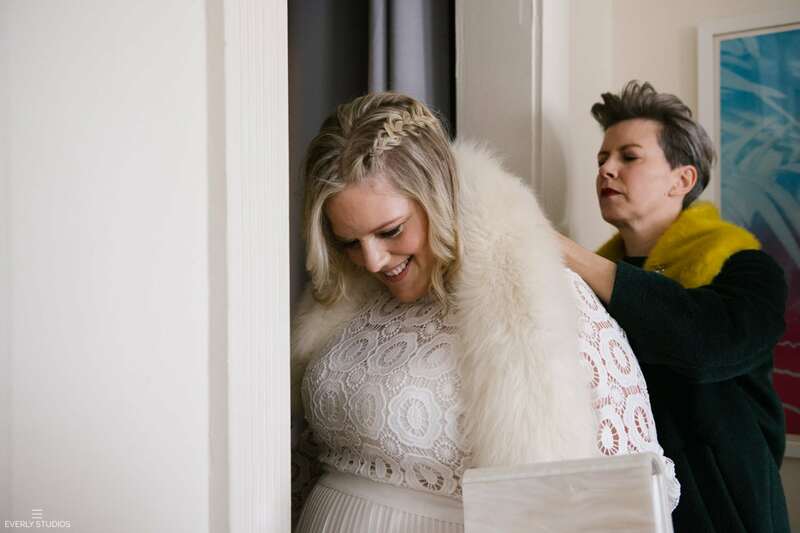 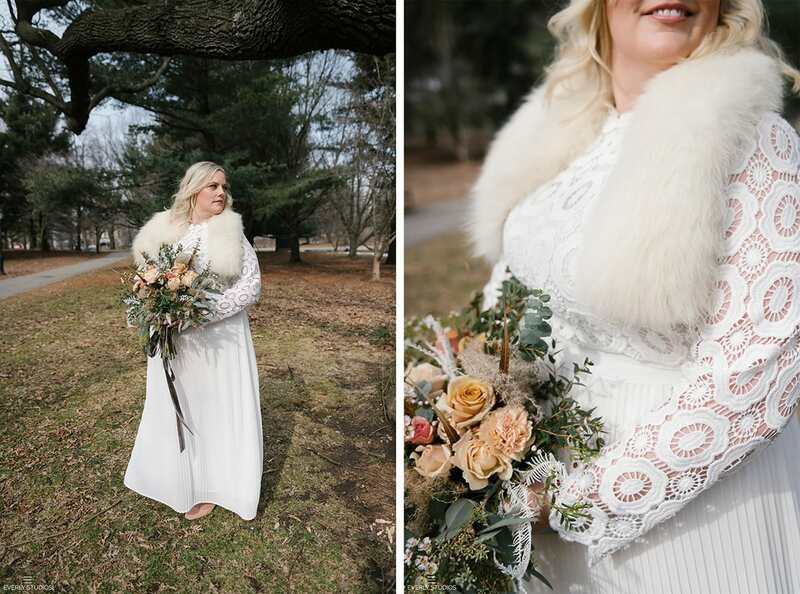 Having an outdoor winter wedding in NYC isn’t for the faint of heart, what with rain, snow and freezing temps to contend with. 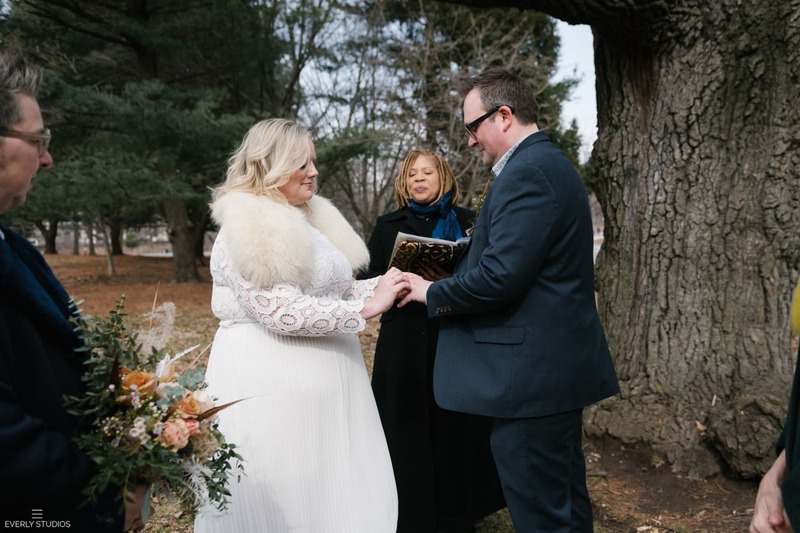 But on Allison and Aaron’s big day, the chilly weather had nothing on this group. 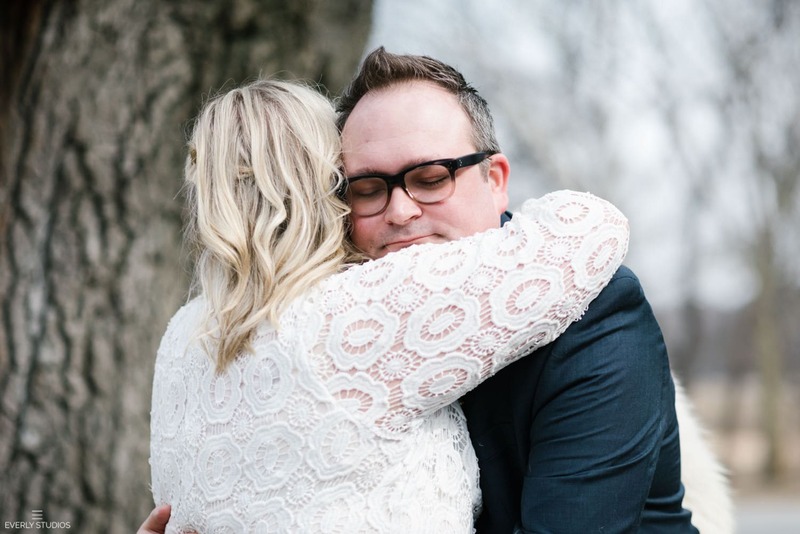 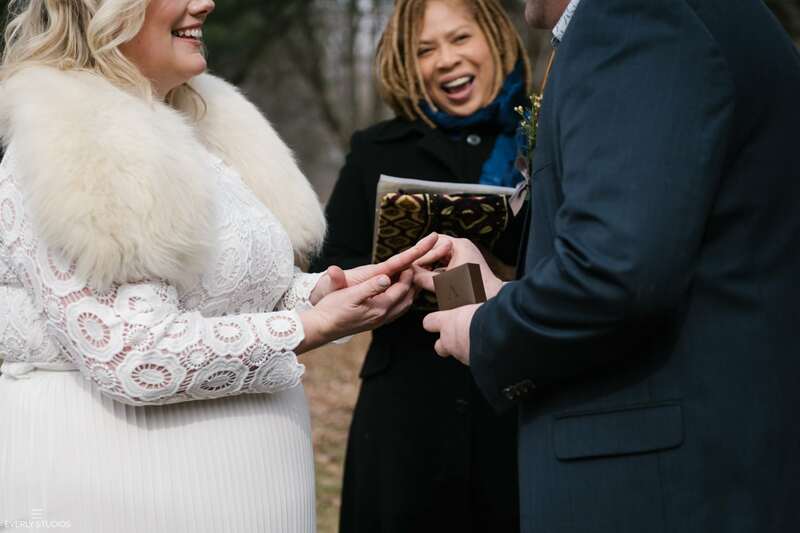 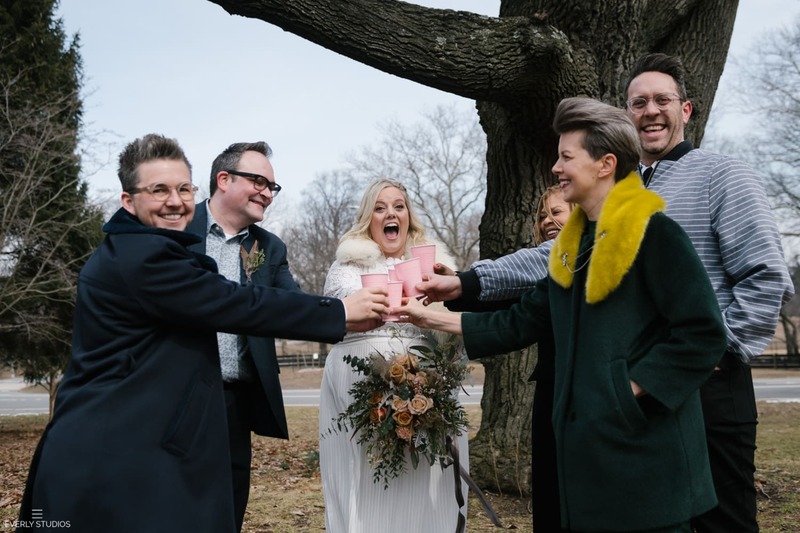 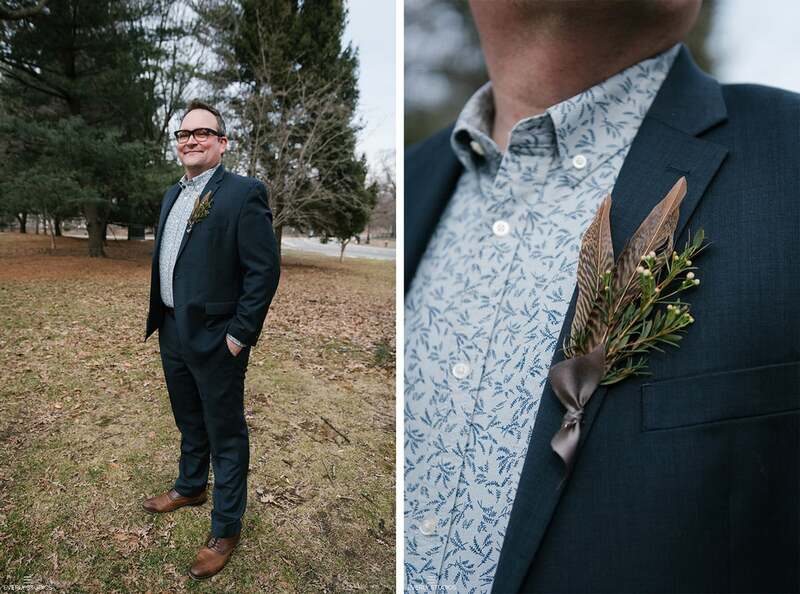 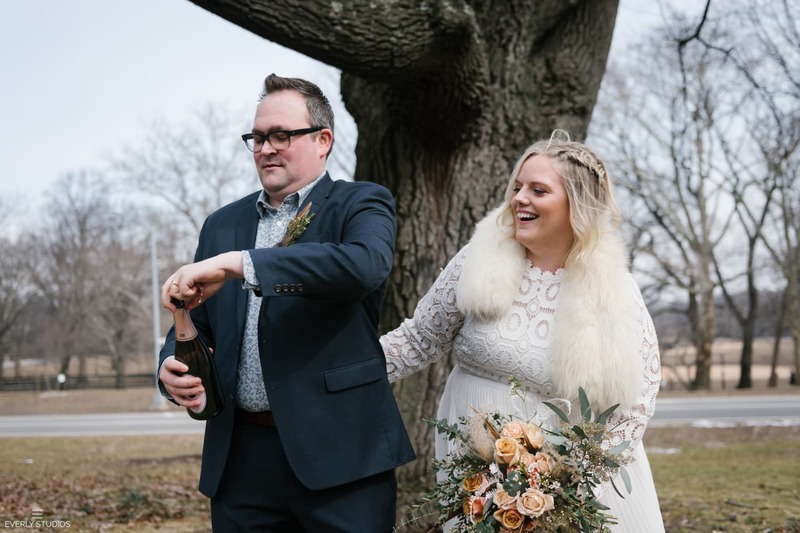 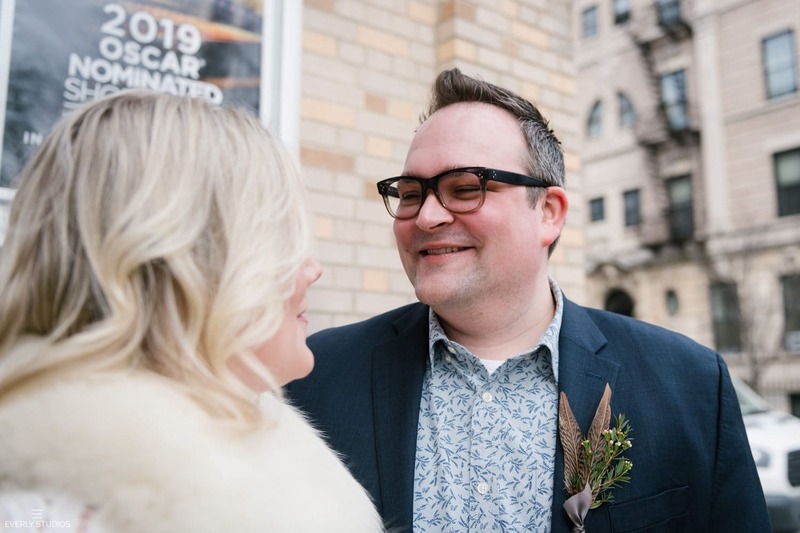 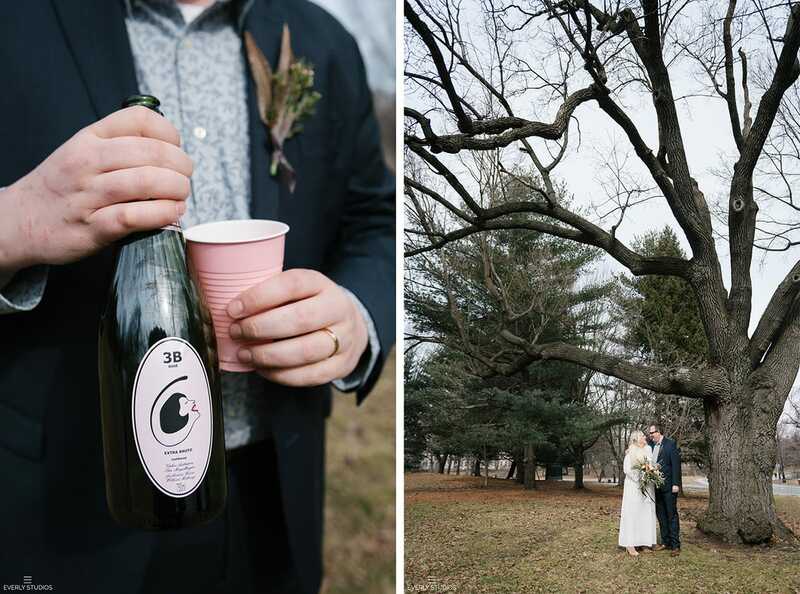 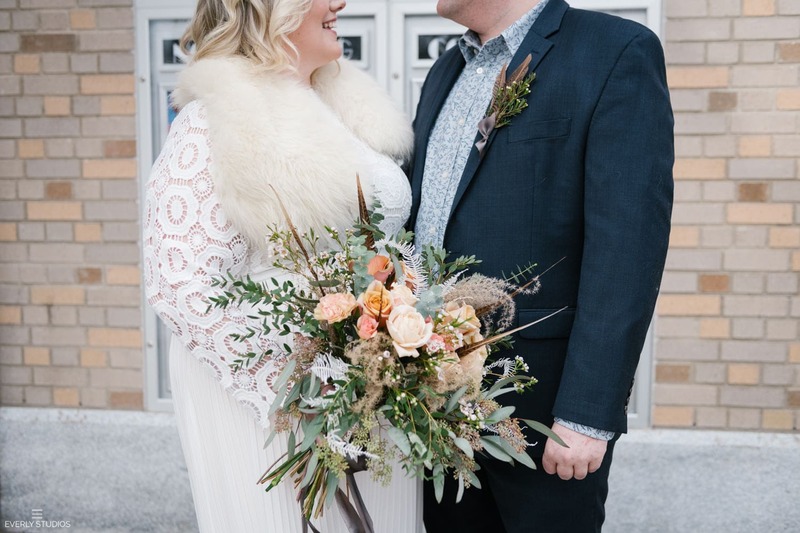 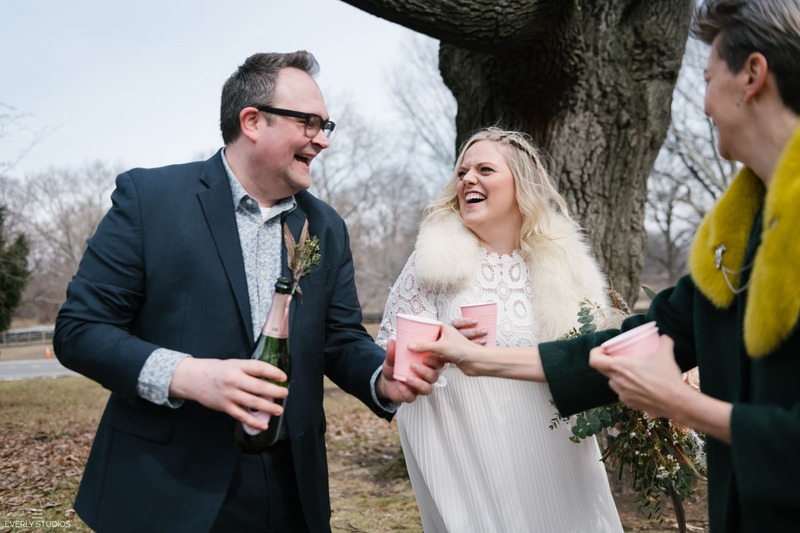 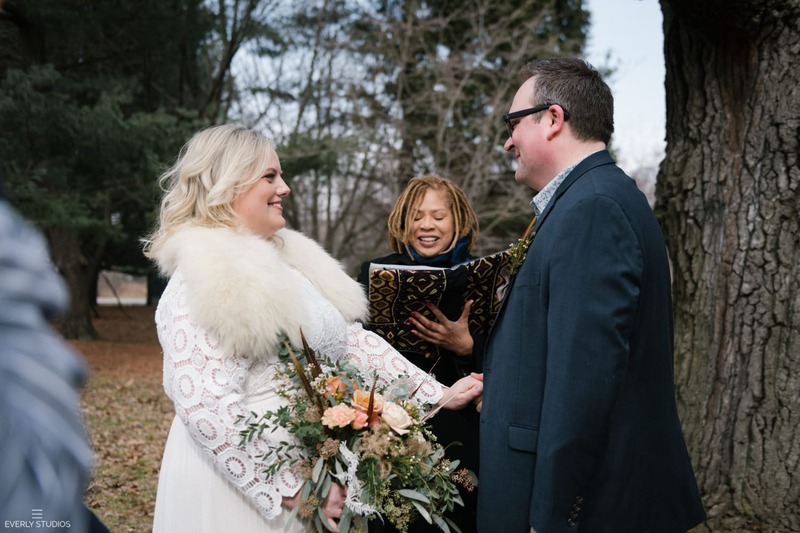 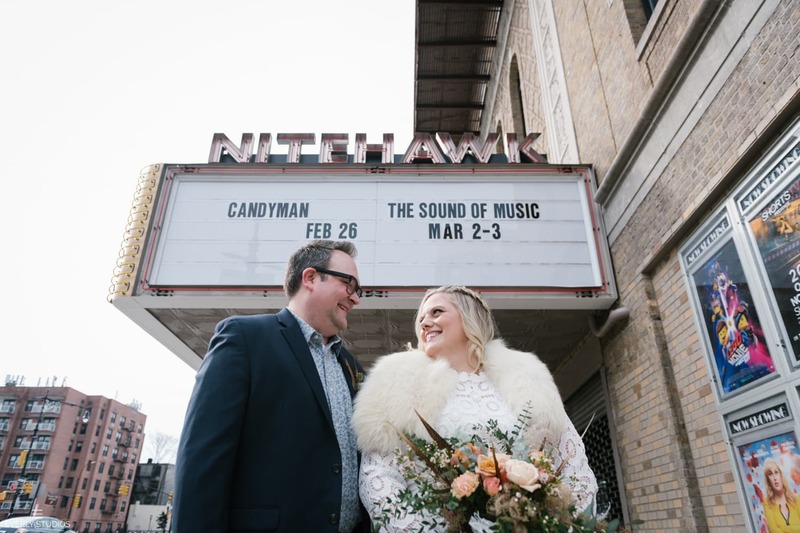 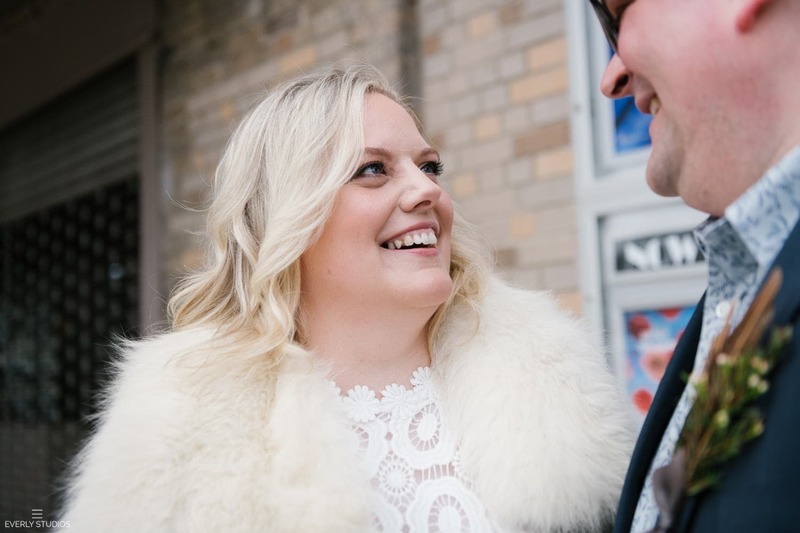 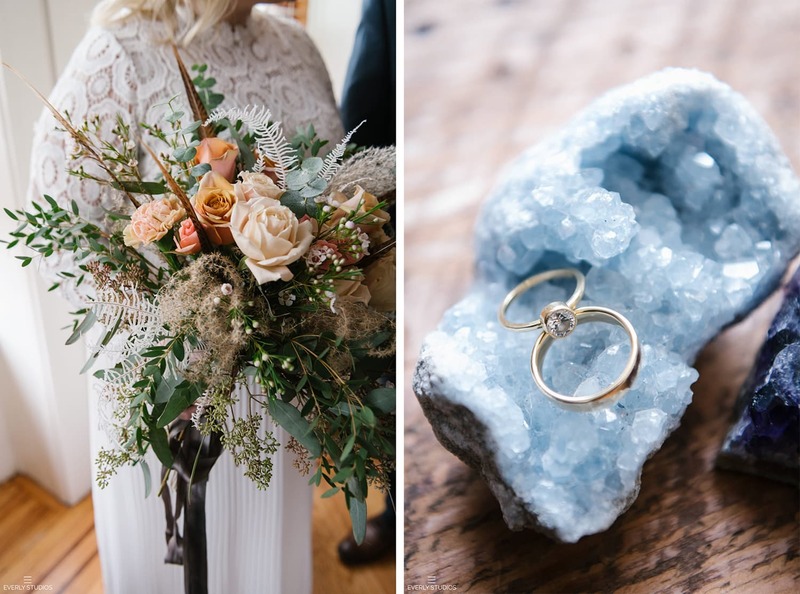 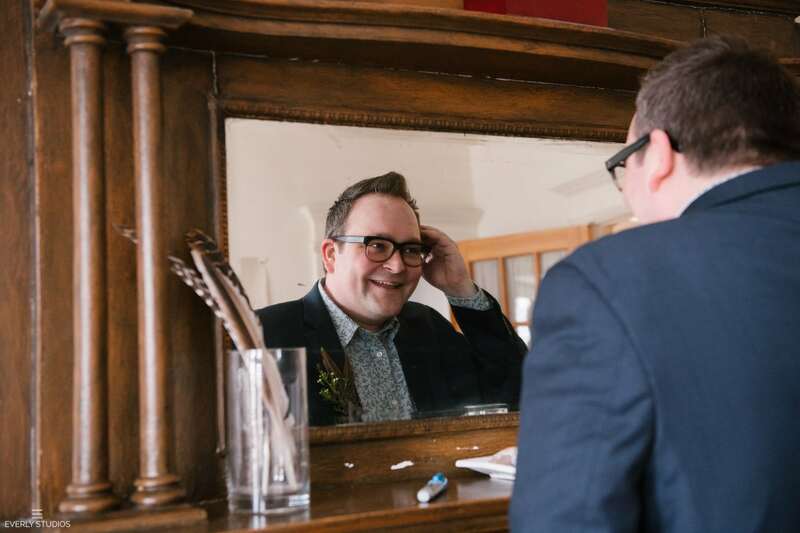 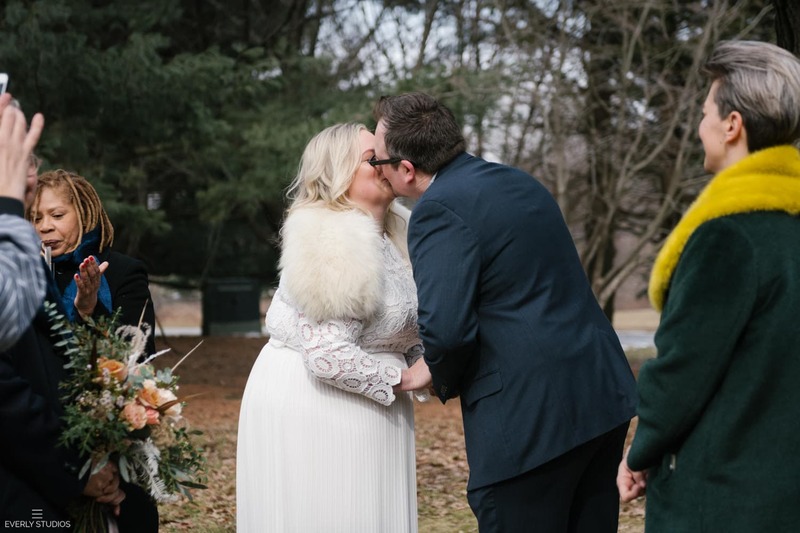 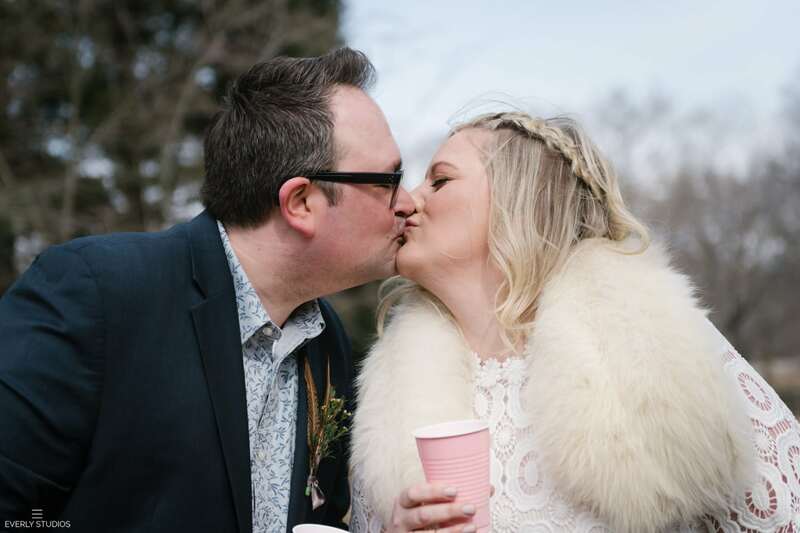 Flanked by their closest friends, the pair made their way into Prospect Park, picked out a particularly handsome tree (forever now dubbed “The Wedding Tree”), and had their ceremony right then and there, underneath a constellation of soaring bare branches. 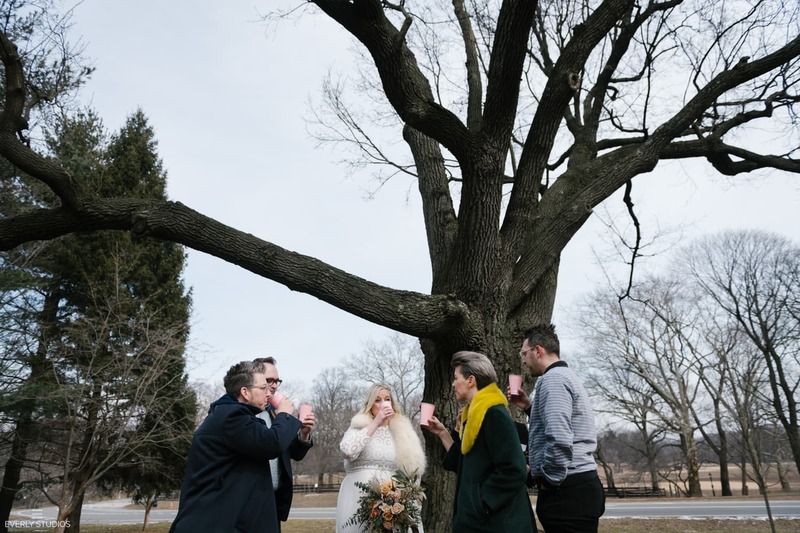 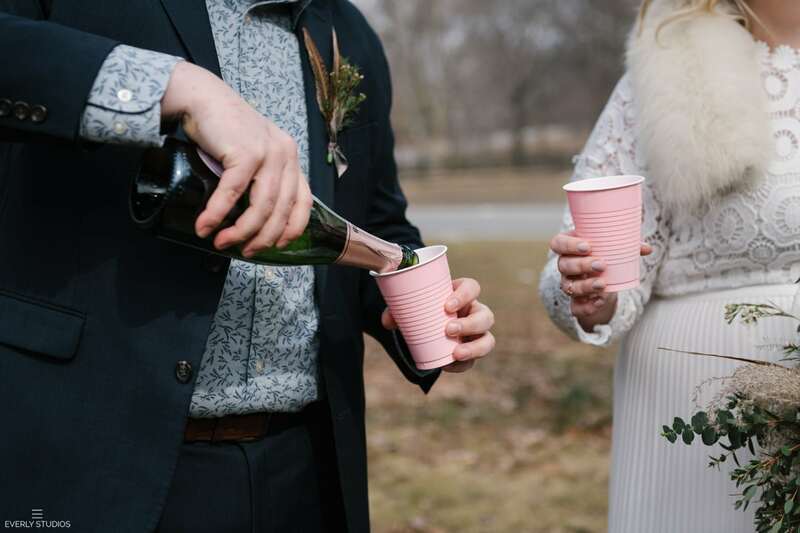 The whole morning seemed effortless, from the assorted family members videoconferenced in for the event to the little pink cups of rosé passed around afterward. 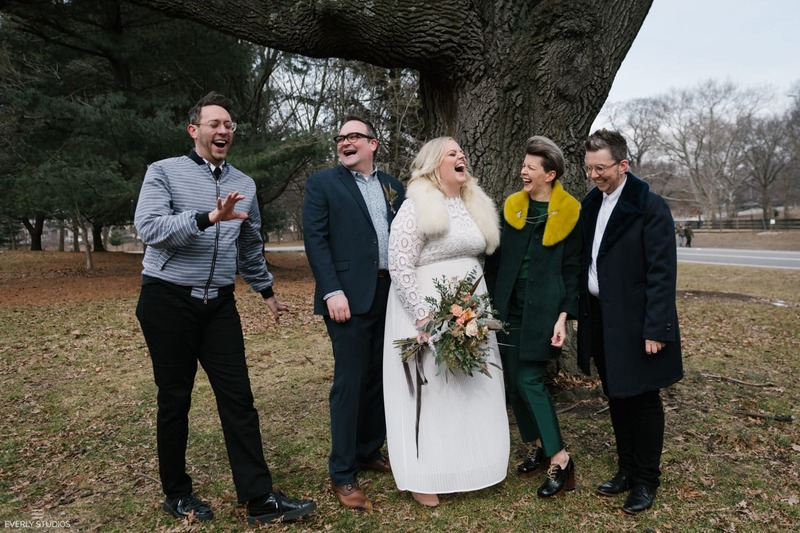 I adored how much laughter and love these people had on their wedding day, and couldn’t be more grateful to be the one to capture it all.